Rad said: Overall, the Audio-Technica ATH-WS70 Solid Bass headphones sounded very good with 90% of the music I played. They’re stylish, and except for the cable connection, seem solidly built. They also cost less than comparable headphones. But I couldn’t listen long to them before the heat from the earcups became unbearable. That might not affect you, but it’s something to keep in mind, particularly if you have larger ears. 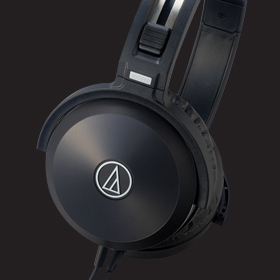 If it’s not a problem, the ATH-WS70s should give you excellent sound from most of your music collection. The gist: Good sounding but they get hot on your ears.